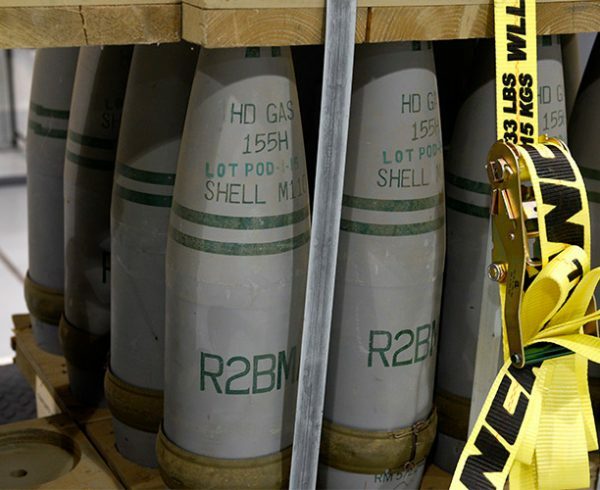 An Explosive Destruction System technician holds a sign in front of six 105mm problematic projectiles just before entering them into the vessel for a detonation, signaling the start of the second campaign for this destruction technology. 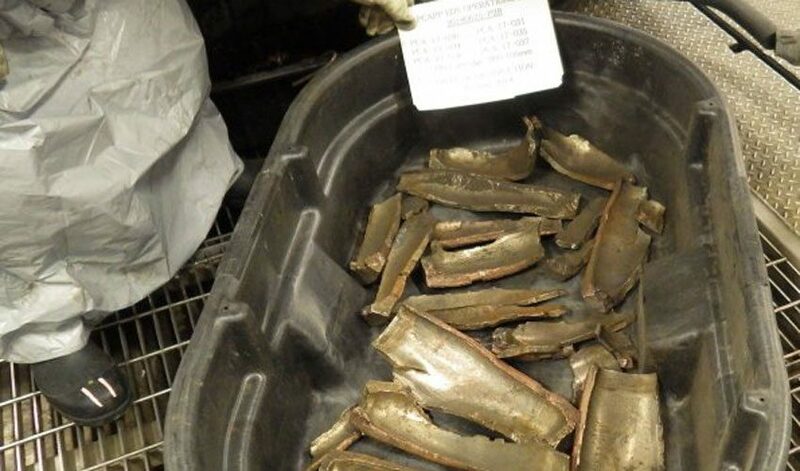 Metal fragments are all that remain of the first projectiles destroyed by the Pueblo Chemical Agent-Destruction Pilot Plant Explosive Destruction System in its second campaign. 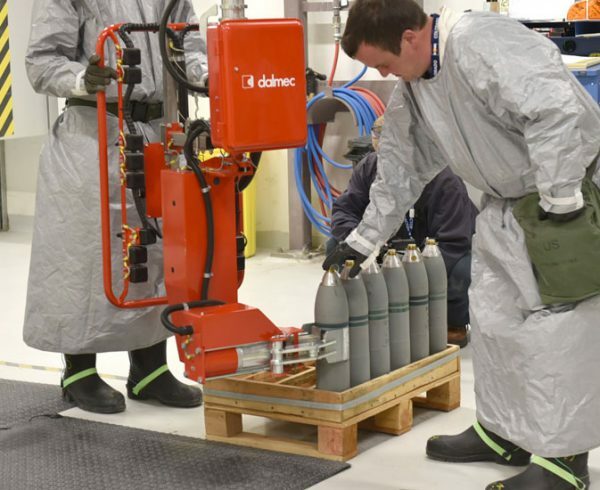 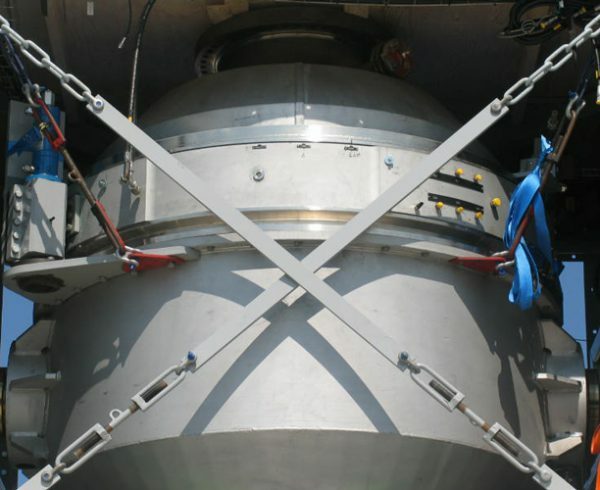 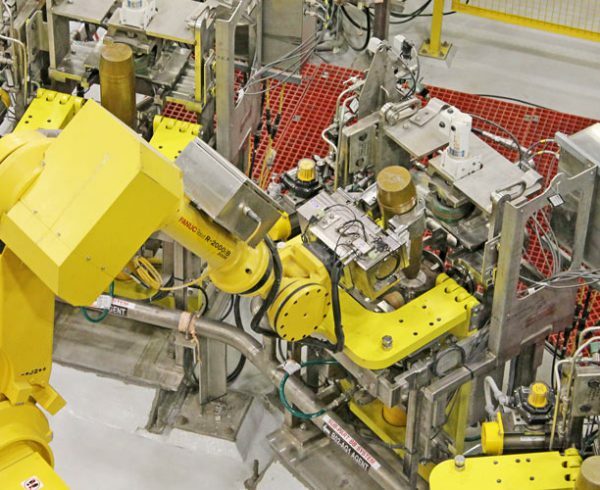 The Pueblo Chemical Agent-Destruction Pilot Plant Explosive Destruction System began its second campaign June 25, eliminating six 105mm projectiles unsuitable for processing in the pilot plant. 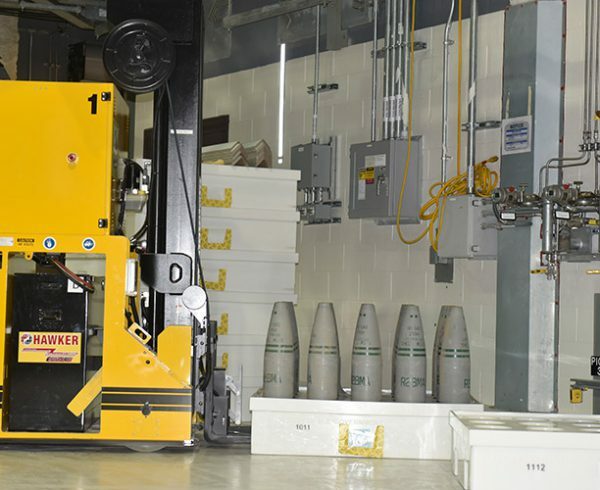 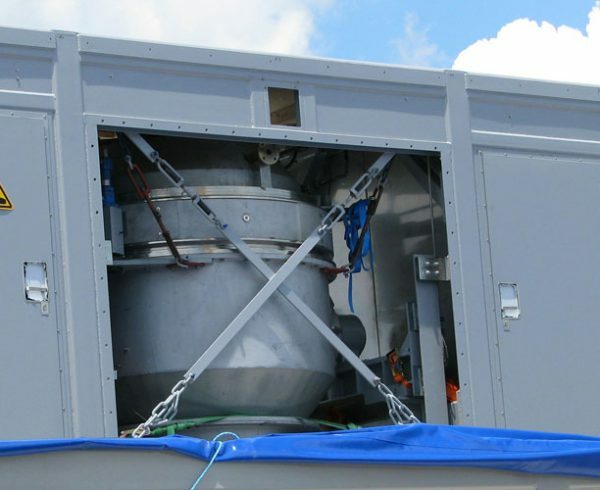 An Army system selected for destroying problematic chemical munitions, the mobile unit uses cutting charges to detonate the munitions and a neutralant to treat the agent. 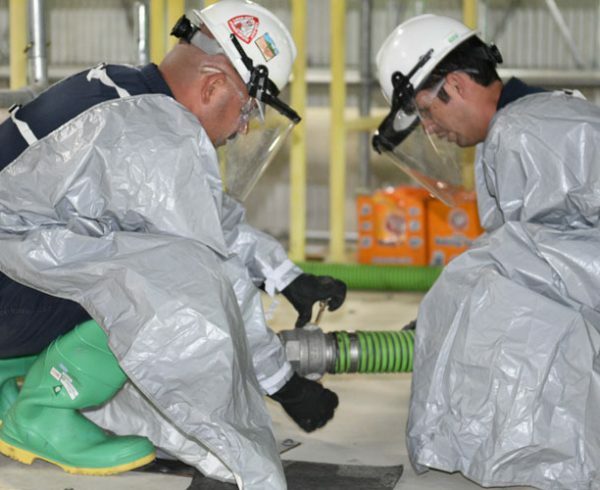 In addition to processing contaminated energetics and problematic rounds, the EDS will destroy recovered chemical warfare materiel excavated from burial sites on the U.S. Army Pueblo Chemical Depot, Mohrman said. 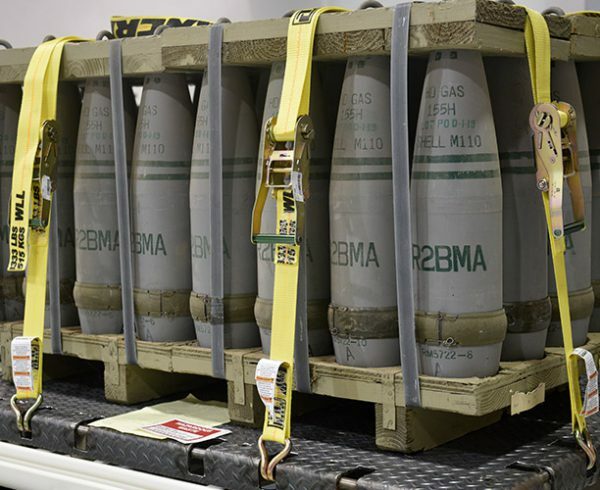 In its first campaign, conducted between March 2015 and February 2016, the unit safely destroyed 560 items, including projectiles, mortar rounds and Department of Transportation bottles that contained mustard agent samples. 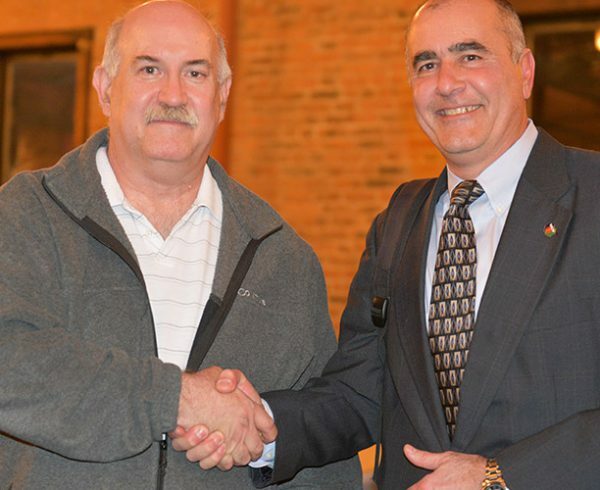 Currently, 85 items are slated for destruction by the EDS, said Mohrman. 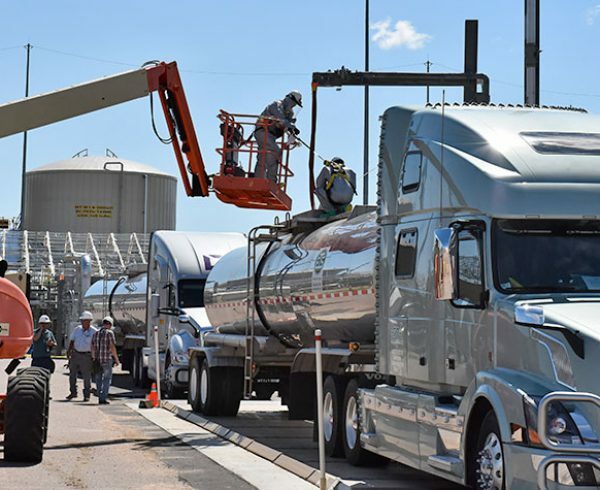 After an extended operational pause, the main plant resumed operations June 13, 2018. 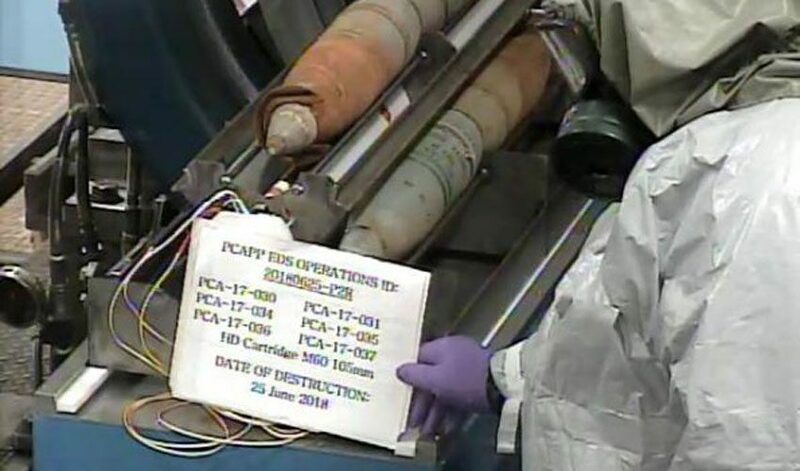 To date, 257.4 U.S. tons of mustard agent has been destroyed by PCAPP systems.